Voxellab offers professional and affordable 3D scanning services for the industry, reverse engineering, medicine, design, video games, special effects, animation, art conservation, restoration, and all other areas that can benefit from this fascinating technology in an innovative way. Our 3D scanners have 3D resolution of 0.5mm, point precision of 0.1 mm and a maximum deviation of 0.03% over 100cm. The models obtained in this way are accurate and usable in all segments of industry and engineering. Revolutionary 3D scanning technology which we use is able to capture original texture of the object in 24-bit color during 3D scan, so that resulting 3D models faithful represent original object to the smallest detail. The latest generation of 3D scanners we use can digitize objects without preparation and marking of the object being scanned, thus expanding the possible application. Process is completely safe for human health. Diverse and advanced 3D scanning devices and software tools allow us to scan objects of any size and complexity – from small object just few millimeters wide to monuments, vehicles and archaeological sites. 3D scanner is a device similar to a camera that digitizes objects and represent them in relation to 3-dimensional space. 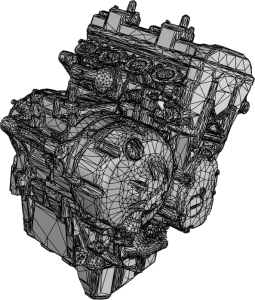 Depending on the application, object being scanned and precision requirements, we can use different types of 3D scanners to best suit the need. 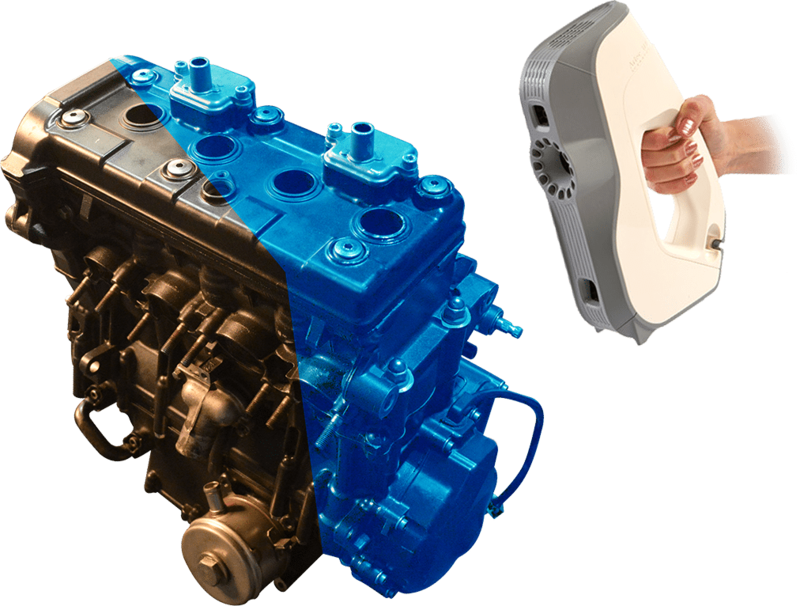 For industry, part inspection and reverse engineering we use stationary structured light 3D scanner that offer high detail and precision. On the other hand, handheld 3D scanners allow us to digitize large or moving objects and beings in full color so 3D models can be used for special effects, stop-motion animation, video games, marketing and forensics. Our 3D scanners are portable, which allows us to 3D scan in the field, in situations where it is not appropriate to scan in our studio. This scanning technology with sophisticated software tools, enables us to scan objects almost unlimited size. So, with our scanners capture is fast, high resolution and with vivid colors, and for the application, in addition to the already mentioned, human inventiveness finds new applications almost on daily basis. Most of 3D scanning is done in professionally equipped Voxellab studio under strictly controlled conditions, so as to achieve the maximum quality of the final 3D computer model. When the object size and other factors make transport to our study infeasable, with specialized portable 3D scanners are able to perform high quality and accurate 3D scanning in the field. The efficiency of the 3D scanning on the field is achieved by separating the recording process that is carried out in the field and later software processing of obtained raw data in Voxellab studio. Processing of raw images is done by sophisticated algorithms and software tools that create a 3D computer model – a precise virtual copy of the real 3D scanned object. Such models are very complex, with a large number of polygons and details that reflect the real shape of the object with all irregularities and defects. 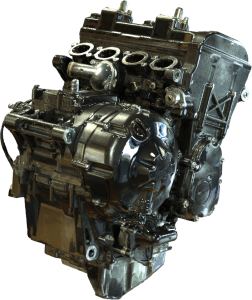 For most applications it is necessary to simplify the so obtained 3D model, which is included in standard 3D scanning service that we offer. 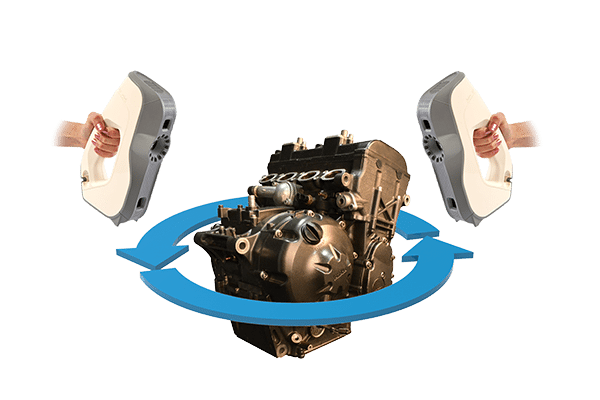 As a separate service, we offer creation of parametric 3D model which is approximated representation of the original structural model of the object – the inverse engineering. Result of this procedure are surface (NURBS) and volumetric 3D models (STEP, IGES). In addition to the precise geometry, latest generation technology that we use is able to simultaneously record texture color of the object being 3D scanned. Computer 3D model created in this way records all characteristics of the object, thereby making the faithful virtual representation. This allows the use of 3D scanned models in the special effects industry, animation, computer games, arts and for the purposes of preservation and cataloging of art and museum specimens. We can also 3D print such models in full color, and make a physical replica of the original object.